uOLED 128 G2 Product Overview. uOLED 128 G2 3D Graphical View. This display uses simple commands to control foreground and background color. It can also produce text in a variety of sizes and draw shapes (which can include user-defined bitmaps, such as logos and even video clips) in 262,000 colors. 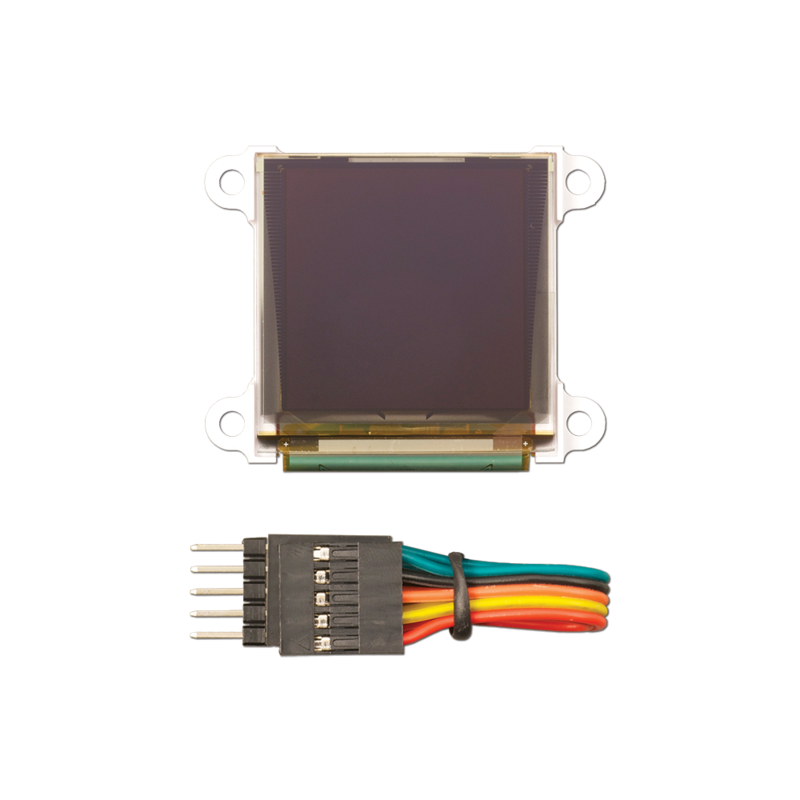 The µOLED 128 G2 is compatible with most microcontrollers. On-board micro-SD memory card adaptor for storing of icons, images, animations, etc. Supports 64Mb to 2Gig micro-SD memory cards. 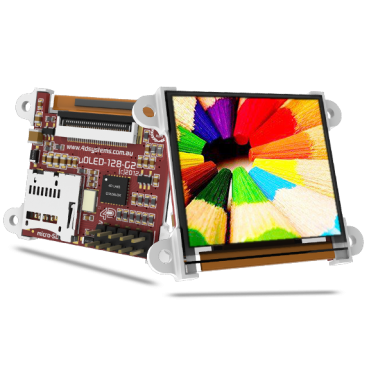 Display full color images, animations, icons and video clips. 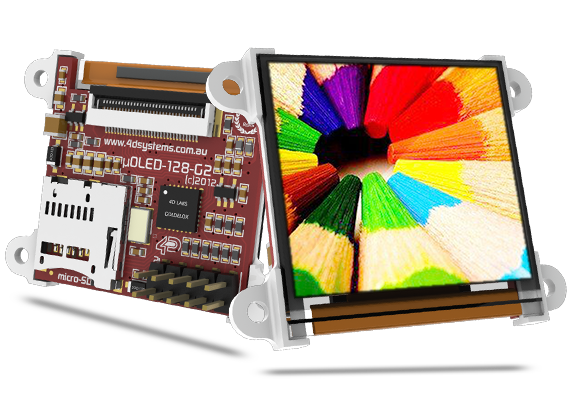 Full Color OLED Display for any microcontroller project. Display for handheld diagnostic or medical equipment. Electronic Panel Meter or Gauge for instrumentation or automotive applications. 128 X 128 resolution, 65 K true to life colors. 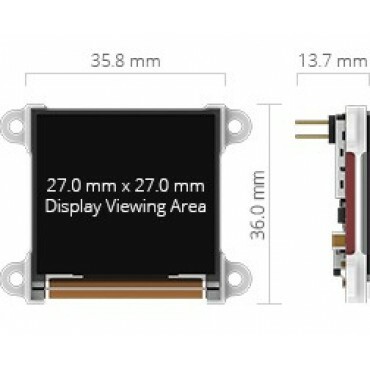 27 X 27 mm viewing area. Voltage requirements: 4.0 V to 5.5 V range operation (single supply). 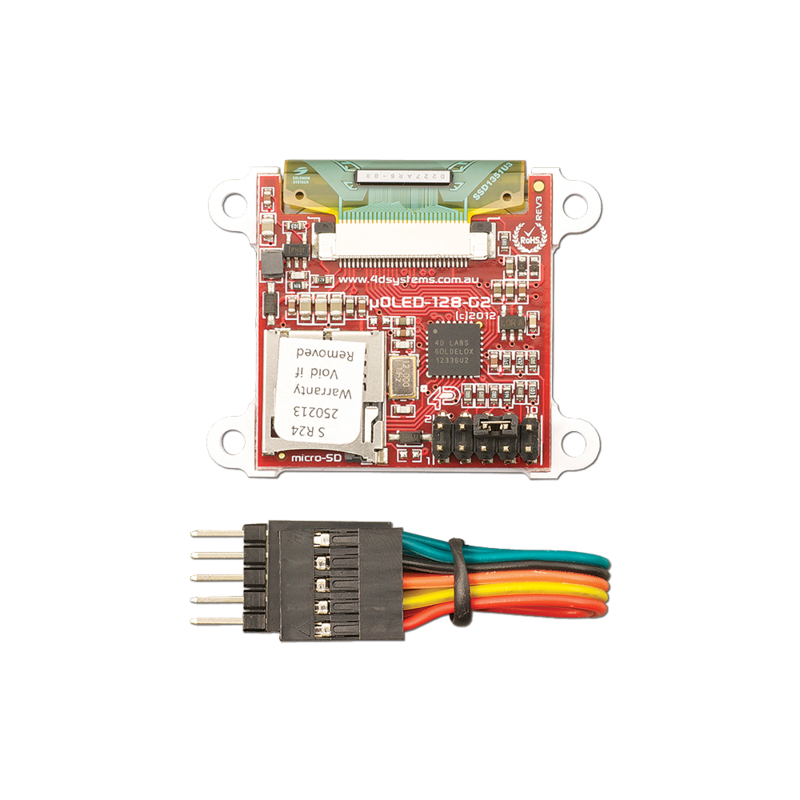 Communication: 1 x Asynchronous hardware serial port, TTL interface, with 300 baud to 600 K baud. 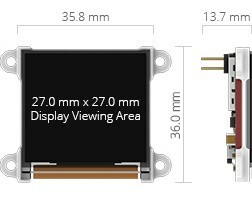 Dimensions: 45.6 X 36 X 13.7 mm (including corner plates). Operating temp range: +32 to +158 °F (0 to +70 °C).